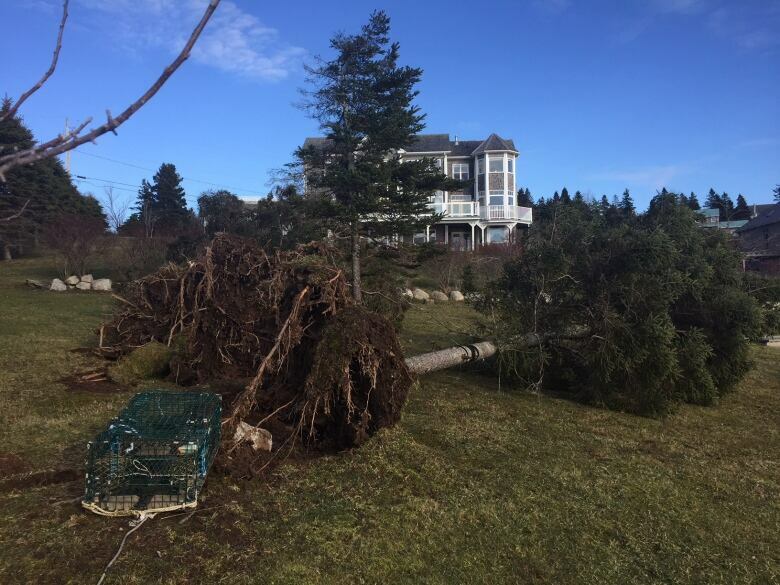 A day after families spent Christmas Day scrambling for heat and electricity to do basic things like keep warm and cook their holiday dinner, about 11,000 Nova Scotia Power customers remain without electricity after wind gusts reached 110 km/h, downing trees and power lines. About 11,000 Nova Scotia Power customers were still without electricity Tuesday evening after a Christmas Day windstorm that blew trees onto power lines and broke utility poles. The total number of customers without power is down from a high of about 158,000, according to a Nova Scotia power news release. On Tuesday evening, the company said power has been restored to more than 90 per cent of customers. The remaining 10 per cent in isolated areas or those affected by weakened trees falling on power lines should have power by noon Wednesday. "We won't stop until all customers are back on," said CEO Karen Hutt in an interview with CBC News. 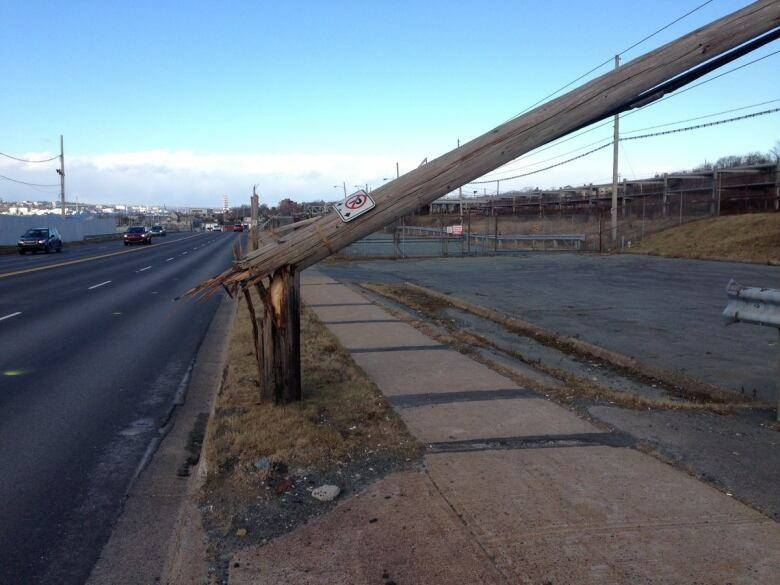 Nova Scotia Power said the storm caused "significant damage to the electricity system." The company said it has about 450 people helping to restore service and 250 other workers on duty, including customer service staff. 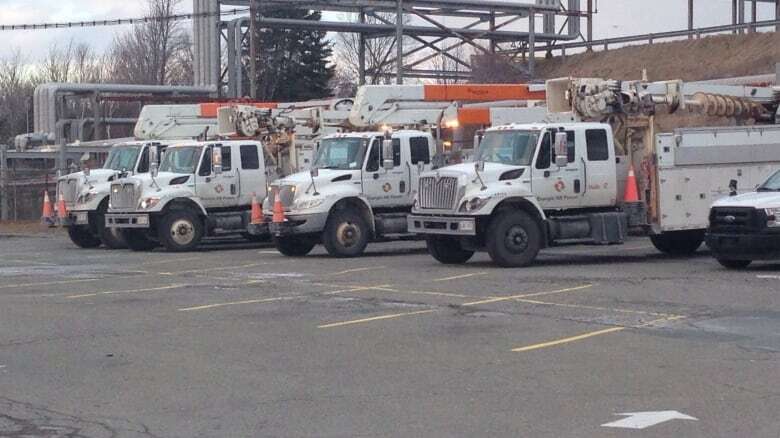 Power crews from across the Maritimes have come to Nova Scotia to help, the utility said. Those crews include power-line technicians, tree trimmers and damage assessors. 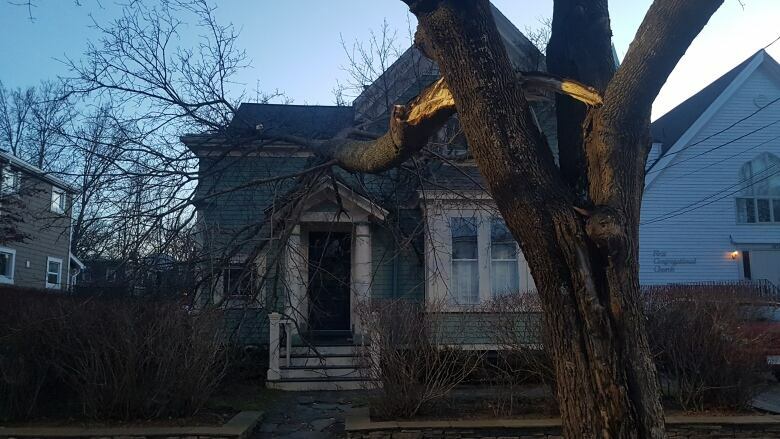 To restore power after this "vicious event," Hutt said, crews are focusing on some of the hardest-hit areas, including the South Shore and Dartmouth. 261 Ohio Rd. in Shelburne. 96 Valley Rd. in Chester. 3 Calkin Dr. in Kentville. 26 Bridge Ave. in Stellarton. The centres are open until 10 p.m. Tuesday, but will reopen at 8 a.m. Wednesday. Nova Scotia's Emergency Management Office said municipalities are responsible for opening daytime comfort centres to help residents get warm and charge their devices. Lunenburg and Shelburne opened warming centres for a while on Christmas Day, but Paul Mason, executive director of the EMO, said there were none open on Tuesday afternoon. Municipalities must also make a request to EMO for the province to open overnight emergency shelters, but there were no confirmed plans for any, said a spokesperson. 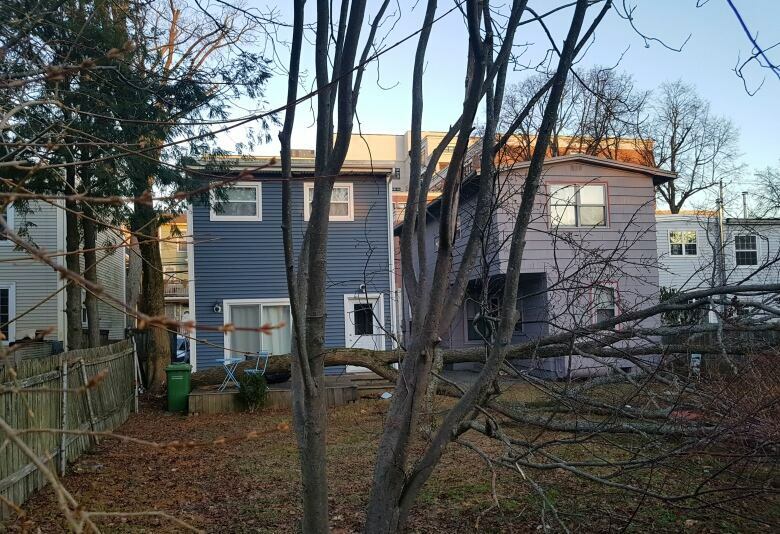 Mason cautioned residents to be careful using alternative sources of heat and power such as generators, kerosene and wood stoves, due to the danger of carbon monoxide. "There have been events in the past that have had tragic results where people are looking to warm up as a result of power outages or in some cases even using alternate lighting sources, such as candles," he said. No one from the Halifax Regional Municipality responded to a request for information from CBC News about plans to open comfort centres or shelters. Environment Canada had issued wind warnings for the province on Monday, cautioning there would be gusts of up to 110 km/h. Most flights travelling to or from Halifax Stanfield International Airport on Monday evening were cancelled or delayed. On Tuesday evening, many flights were still delayed or cancelled. Marine Atlantic has cancelled its 11:45 p.m. crossings between Port aux Basques, N.L., and North Sydney, N.S., on Tuesday. The crossings are scheduled for Wednesday at 11:45 a.m.
Bay Ferries has cancelled its crossings departing from Saint John on Tuesday at 8 a.m. and from Digby at 11 a.m.
Halifax Regional Police warned Monday night that cleanup from the storm would likely take days. Some streets in downtown Halifax were closed in the evening because glass and debris fell from highrise buildings, police said. RCMP asking drivers to get off roads as winter storm hits P.E.I. A large fence, power lines and utility poles fell onto Pleasant Street in Dartmouth, closing the street for several hours near Everette Street. That street had reopened by Tuesday morning.